For decades now those of us trying to publish papers which depart from the climate doom-and-gloom narrative have noticed a trend toward both biased and sloppy peer review of research submitted for publication in scientific journals. Part of the problem is the increased specialization of climate science (and other sciences in general), so that there are relatively few peers who know enough about what they are reviewing to pass expert judgement on it. Instead, they simply give the paper author(s) the benefit of the doubt. I have been in this position many times when reviewing a paper for publication. This leads to group-think, as the number of experts in any sub-discipline dwindles. 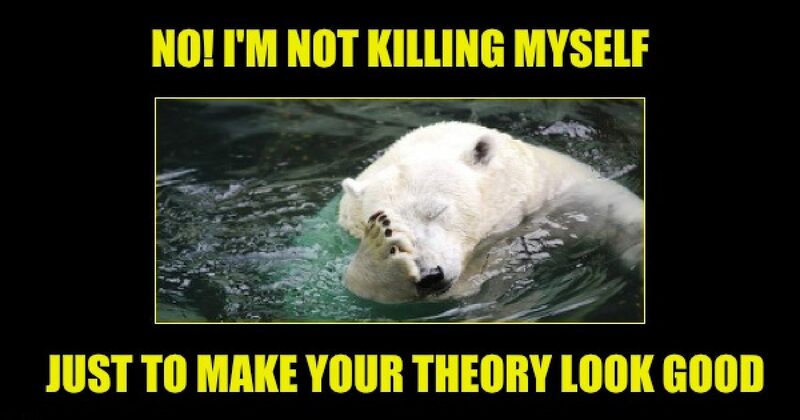 If the conclusions of the paper support a more alarmist narrative on the seriousness of anthropogenic global warming, the less thorough will be the peer review. I am now totally convinced of that. If the paper is skeptical in tone, it endures levels of criticism that alarmist papers do not experience. I have had at least one paper rejected based upon a single reviewer who obviously didn’t read the paper…he criticized claims not even made in the paper. A recent paper published in what is arguably the world’s most prestigious science journal, Nature, claimed that the oceans have been warming considerably faster than estimates made from actual thermometer measurements, which remain rather sparse even in the Argo float era. Enter Nic Lewis, who along with Judith Curry has been publishing some of the most thorough estimates of climate sensitivity based upon the observational data and the usual assumed anthropogenic climate forcings (mostly increasing CO2). Despite not being a credentialed climate scientist, Mr. Lewis immediately identified a significant error in the paper, substantially altering the conclusions, which the authors now acknowledge. The good news is that this is a case where the error was caught, and admitted to. The bad news is that the peer review process, presumably involving credentialed climate scientists, should have caught the error before publication. The irony that a theist would attempt to demean an area of scientific study be referring to it as a religion is not lost on me. News flash... Catholics are theists. Holy sh!t. Last edited by gmrocket on Sat Nov 24, 2018 10:49 am, edited 1 time in total. Ya, it was all about the polar bears going extinct... like who doesn't love polar bears right? That wouldn't work if he picked sewer rats, or black flies or dung beatles.. So you’re one of those Catholics atheists. Got it. Seriously though, do you know what a theist is? It’s someone who believes in a god. There are two categories. Atheist and theist. Which one are you? This thread is about the climate religion..on that, I'm an atheist.